“Having grown up on a dairy farm and having operated one myself, I’ve been drinking raw milk most of my life. It’s not automatic that raw milk is a safe product. 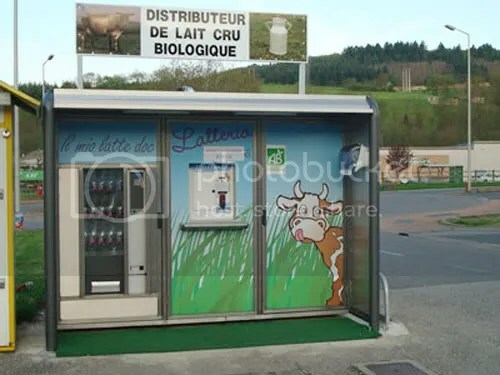 “I HAVE CREATED A MILK MAP AND WILL BE ADDING MORE RAW MILK VENDING MACHINES I HEAR ABOUT OVER THE COMING MONTHS, PLEASE LEAVE A COMMENT WITH THE LOCATION OF ANY RAW MILK VENDING MACHINES YOU MAY HAVE SEEN IN EUROPE, THANKS! Italian Farmers have set up a country-wide system of raw milk vending machines you can see here on: milkmaps.com and one of my favorite countries, Slovenia, on the other side of the Alps is also starting to set up raw milk vendors. Austria, Switzerland and The Netherlands have started to install machines too. Here’s one in Ljubliana, Slovenia. 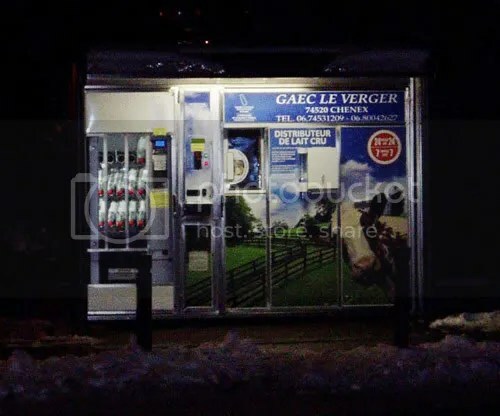 Thanks to: Lifeinluxembourg looks like these vending machines may be quietly taking over several European countries slowly but surely without us even realizing it. What a great enterprise for farmers, as they can obviously obtain more money selling milk this way than to the supermarkets. Read it all on the Constant State of Flux blog. We are looking for milk vending machine, tank capacity should be 20-40 litters. Milk dispensing should be on coin insertion/card insertion. T block, p. no. s33, midc pune india. are You still looking for milk vending machine. We are polish producer. We can porpose You very good quality in very good price. 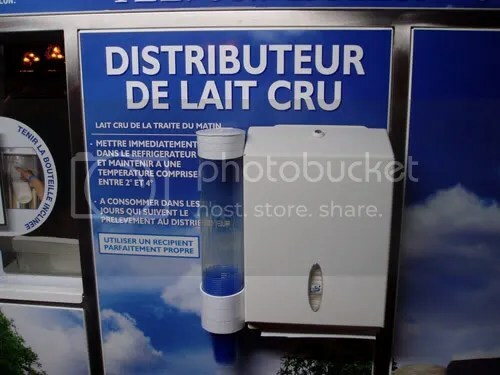 Kudos to THE BOVINE for being the first to bring the scoop on raw milk vending machines. It looks like these articles are going viral ! The Canadian Health Protection branch and its accompanying bureaucracy is looking sillier and sillier , smaller and smaller and meaner and meaner by day. Why ‘meaner and meaner’ ? Because how else can you justify selling chemical soup “soda pops” in vending machines the past 80 or 90 years to innocent and unsuspecting children that contain substances with ZERO FOOD VALUE , increase dental cavities , and who’s extreme acidity will provoke hundreds of unnamed illnesses and diseases in the long term ? All this while banning the availability of one of the most “life-giving” substances known to man : RAW BREASTMILK FROM THE MOTHER COW ?